DESCRIPTION: Brown body with dark scale borders. Juveniles Blue with black lines on head and horizontal orange band along top of body. RANGE: Sea of Cortez to Southern Mexico. All of the fish pictures on elasmodiver.com are copyright protected. 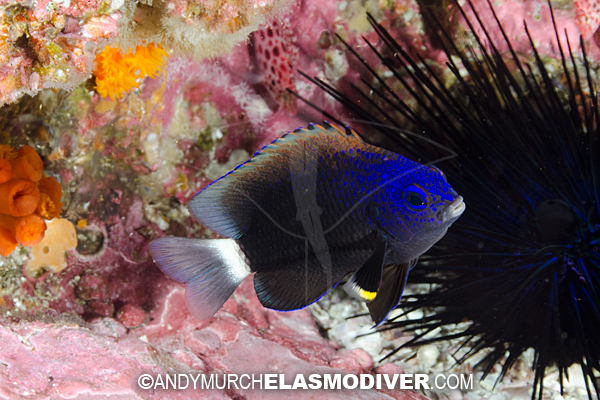 No unauthorized use of these Whitetail Damselfish pictures is permitted. Please contact Elasmodiver for further information.